I understand that National Aviation Center is NOT the Federal Aviation Administration. I understand that National Aviation Center does not represent any government agency and is not endorsed by any governmental agency. 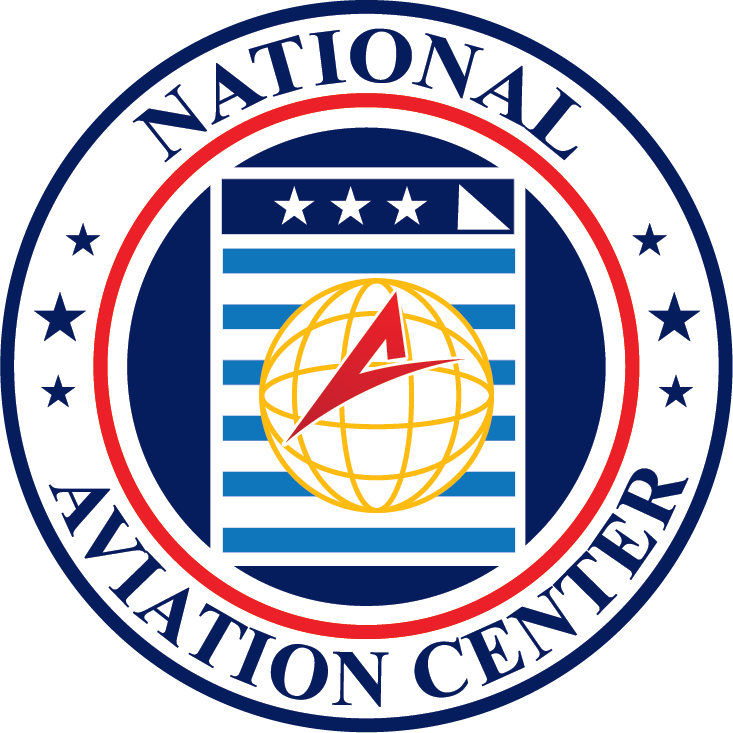 The materials on National Aviation Center’s website and mailed publications are provided “as is.” National Aviation Center makes no warranties, expressed or implied, and hereby disclaims and negates all other warranties, including without limitation, implied warranties or conditions of merchant ability, fitness for a particular purpose, or non-infringement of intellectual property or other violation of rights. Further, National Aviation Center does not warrant or make any representations concerning the accuracy, likely results, or reliability of the use of the materials on its Internet website or mailed publications or otherwise relating to such materials or on any sites linked to this site. This is not a government sponsored website, but is a private fee-for-service company assisting private aircraft owners in seeking registrations, renewals, and other registration requirement of the Federal Aviation Administration. Certificates of Aircraft Registration are mailed out by the Federal Aviation Administration, and as such, National Aviation Center is not responsible for lost, damaged or destroyed mail. I understand that submitting an application for aircraft registration will supersede the current/pending application for that aircraft. To cancel an application that you have placed with National Aviation Center, you must contact customer support by email (cancellation@nationalaviationcenter.us). When contacting customer support to cancel an application, please be ready to provide your name, the aircraft’s N-Number and your contact information. Every effort will be made to accommodate the cancellation, however, please note that if the application has been processed by National Aviation Center a refund cannot be issued. By accepting these terms and conditions and making all payments required for your transaction, you acknowledge that there will be no refund of any fees charged by National Aviation Center and paid by you for any reason. 90-Day Period to Respond to Deficiency in your Registration: I understand that if I do not respond to deficiency requests within 90 days of the date of the deficiency request, my application will be cancelled. Fees submitted for online applications include application fees to the FAA as well as National Aviation Center fees for services provided. A Charge Dispute, or “Charge Back”, is any formal attempt to withhold or remove consideration, after contracting with National Aviation Center. By initiating a charge-back with your financial institution you are declaring that you no longer wish to continue receiving services from National Aviation Center, thus automatically cancelling your application. Cancelled applications are still subject to the No-Refund Policy and all application and processing fees remain non-refundable. Please be advised that if an unwarranted and fraudulent charge-back is initiated against National Aviation Center we will now communicate directly with your financial institution and will no longer communicate directly with you. To recover fees for services requested by you and rendered by National Aviation Center, be advised that your file may be placed into collections and this may negatively affect your credit rating. Additionally, a lien may be filed against your aircraft to recover fees for services rendered. In no event shall National Aviation Center or its suppliers be liable for any damages (including, without limitation, damages for loss of data or profit, or due to business interruption,) arising out of the use or inability to use the materials on National Aviation Center’s Internet website, even if National Aviation Center or a National Aviation Center authorized representative has been notified orally or in writing of the possibility of such damage. Because some jurisdictions do not allow limitations on implied warranties, or limitations of liability for consequential or incidental damages, these limitations may not apply to you. The materials appearing on National Aviation Center’s website could include technical, typographical, or photographic errors. National Aviation Center does not warrant that any of the materials on its website are accurate, complete, or current. National Aviation Center may make changes to the materials contained on its website at any time without notice. National Aviation Center does not, however, make any commitment to update the materials. National Aviation Center has not reviewed all of the websites linked to its Internet website and is not responsible for the contents of any such linked website. The inclusion of any link does not imply endorsement by National Aviation Center of the website. Use of any such linked website is at the user’s own risk. Any claim relating to National Aviation Center’s website shall be governed by the laws of the State of Delaware without regard to its conflict of law provisions. This license shall automatically terminate if you violate any of these restrictions and may be terminated by National Aviation Center at any time. 11. Eliminate The Possibility of Reinstatement Fees By Paying Your Yearly Renewal Registration In Advance. The FAA requires a renewal of all active aircraft registrations, which can only be done every 3 years at a time. To avoid a lapse in registration we offer a pre-paid service to you. This is not a subscription. You will not get charged a yearly fee. It is an advance payment option for future renewals and you will only get charged a one-time fee at the time of your application submission per the number of years selected. National Aviation Center will pay all government fees on your behalf to the Federal Aviation Administration, for the selected amount of years. You will automatically receive a Certificate of Aircraft Registration with a validity of three years, once every three years, per the number of advanced renewals requested. In the event of cancellation, please be advised that all processing and application fees are non-refundable. As a courtesy, fees paid for the unused renewal years can be applied to other registration services offered by National Aviation Center. I understand that each completed Certificate of Aircraft Registration will be valid for a maximum period of three (3) years after issuance. National Aviation Center offers an additional service called Priority Request/Rush Processing on certain applications. This service, when selected, allows an application to bypass National Aviation Center’s internal queue of previously-submitted applications, and be addressed immediately by an assigned Registration Processor. Completion of this document is optional. All Prioritized Applications receive National Aviation Center’s internal prioritization. National Aviation Center Inc. make no claims, promises or guarantees about the accuracy, completeness, or adequacy of the contents of this web site and expressly disclaims liability for errors and omissions in the contents of this web site. No warranty of any kind, implied, expressed or statutory, including but not limited to the warranties of non-infringement of third party rights, title, merchantability, fitness for a particular purpose and freedom from computer virus, is given with respect to the contents of this web site or its hyperlinks to other Internet resources. Reference in this web site to any specific commercial products, processes, or services, or the use of any trade, firm or corporation name is for the information and convenience of the public, and does not constitute endorsement, recommendation, or favoring by the National Aviation Center. Information presented on this web site is considered copyrighted material. National Aviation Center is the sole owner of the trademarks and copyrights related to www.nationalaviationcenter.us However, all information submitted to the National Aviation Center via this site shall be deemed and remain the property of the National Aviation Center, except those submissions made under separate legal contract. You may choose to provide us with personal information, as in e-mail with a comment or question. We use the information to improve our service to you or to respond to your request. Sometimes we forward your e-mail to other government employees who may be better able to help you like the Federal Aviation Administration. Except for authorized law enforcement investigations, we do not share our e-mail with any other outside organizations. National Aviation Center links to many websites created and maintained by other public/and/or private organizations. National Aviation Center provides these links as a service to our users. When users link to an outside website, they are leaving the National Aviation Center’S site and are subject to the privacy and security policies of the owners/sponsors of the outside website(s). National Aviation Center will not link to any website that exhibits hate, bias or discrimination. Furthermore, we reserve the right to deny or remove any link that contains misleading information or unsubstantiated claims, or is determined to be in conflict with United States Coast Guard’s mission or policies. The information posted on the National Aviation Center website includes hypertext links or pointers to information created and maintained by other Government/ public and/or private organizations. National Aviation Center provides these links and pointers solely for our users’ information and convenience. When users select a link to an outside website, they are leaving the National Aviation Center site and are subject to the privacy and security policies of the owners/sponsors of the outside website. National Aviation Center does not control or guarantee the accuracy, relevance, timeliness or completeness of information contained on a linked website. National Aviation Center does not endorse the organizations sponsoring linked websites and we do not endorse the views they express or the products/services they offer. National Aviation Center does not and cannot authorize the use of copyrighted materials contained in linked websites. Users must request such authorization from the sponsor of the linked website. National Aviation Center is not responsible for transmissions users receive from linked websites. National Aviation Center does not guarantee that outside websites comply with the requirements of Section 508 (Accessibility Requirements) of the Rehabilitation Act. You are entering the National Aviation Center Online Registration System, which may be used only for authorized purposes. National Aviation Center may monitor and audit usage of this system, and all persons are hereby notified that use of this system constitutes consent to such monitoring and auditing. Unauthorized attempts to upload information and/or change information on these web sites are strictly prohibited and are subject to prosecution under the Computer Fraud and Abuse Act of 1986 and 18 U.S.C. §§1001 and 1030. Client shall release, hold harmless and indemnify National Aviation Center and their respective employees and representatives, of and from any and all disputes, actions, claims, demands, liabilities, judgements, and attorney fees, which are related to or arise directly from the use of our services/site/advertising/materials/activities, howsoever caused, including, without limitation, those due to the negligence, fault or other act or omission of National Aviation Center or of their respective employees or representatives. By accepting the terms and conditions by submitting an application though the online portal www.nationalaviationcenter.us or by phone still subject to these terms and conditions. By clicking submit and agreeing to the terms and conditions The Agreement. The validity, interpretation, and performance of this agreement shall be controlled by and construed under the laws of the State of Delaware. Any dispute, claim or controversy which arises from or is related to this agreement shall be resolved by binding arbitration, before pursuant to the Commercial Arbitration Rules of the American Arbitration Association or ADR Services, Inc. to be conducted within the County of National Aviation Center’S business Dover, Delaware. This includes any dispute whatsoever or any claim for any act or omission. However, any claim that may be alleged within the jurisdiction of National Aviation Center’s Small Claims Courts of Kent county.